Just a girl who travels. First Time to Germany? Practical Tips to Plan Your Travels. I vividly remember my first trip to Germany, exactly four years ago. I had won a pair of flight tickets to Europe, taken a two-month sabbatical from my corporate job, and arrived in Munich with a friend – anticipating Germany to be uptight, and not half as fun as Italy or France. I was so wrong! On that first trip, I guzzled the finest beer in the country’s oldest biergartens, savored the wry humor of locals, climbed the stunning limestone mountains of Saxon Switzerland, and fell in love with the quirky city of Dresden, once the seat of east Germany’s cold history. I’ve been back twice to revel in the snowy Christmas Markets of Cologne and Rothenburg, attend a travel conference in the port city of Hamburg, soak in the spring colours of Berlin and discover the fascinating lake region of Spreewald. What’s the best time to visit Germany? 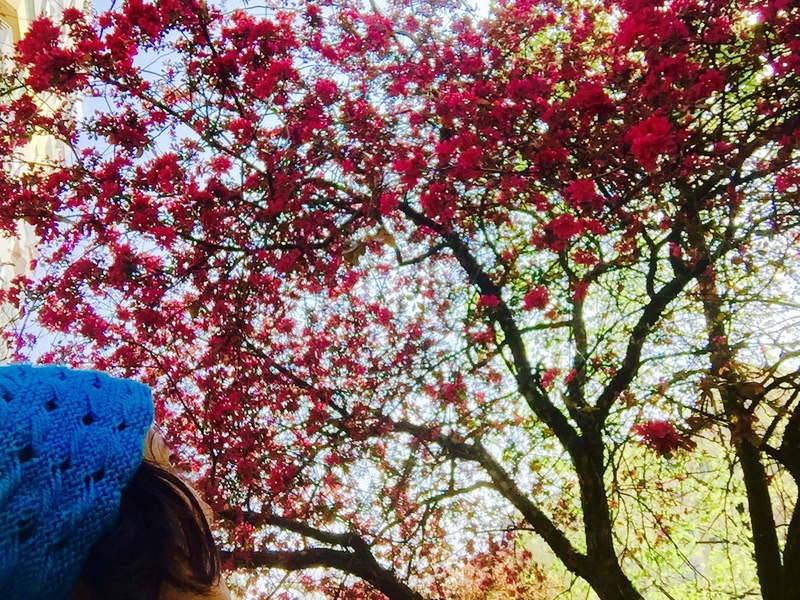 Colors of spring in Berlin. I loved the onset of summer in early June, with long days and sunsets past 9 pm, just a little hot and not yet buzzing with tourists. Although temperatures fell below -10 degrees celsius in winter, I have fond memories of sipping copious amounts of gluhwein and watching the snowflakes dance above the festive Christmas markets. But my favorite time is spring – late April, when neighbourhoods in cities and the rural countryside are exploding with vibrant colours, the sun is wonderfully warm, and everyone is out on the streets after the harsh winter. How to get a Schengen visa for Germany? The visa pain is worth it for moments like this! My passport is choc-a-bloc with Schengen visas issued by the German embassy, and as much as I hate applying for one every time, I appreciate that it never takes longer than 2-4 days, although the official processing time is 15 days. The applications are to be submitted via VFS Germany – including confirmed flight tickets and accommodations (use booking.com to find a hotel with no reservation or cancellation charges), travel insurance and bank statements. Besides the necessary documents, it helps to include a cover letter, CV and copies of past visas. Which airlines to fly to Germany from India? 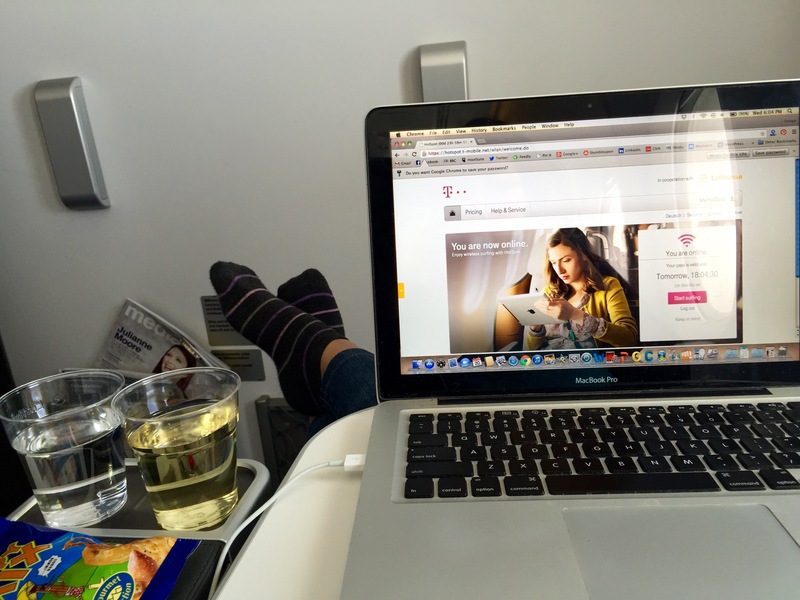 Stretching out with wine and Wifi on Lufthansa’s premium economy. When I was invited to try Lufthansa’s new Premium Economy (midway between business and economy class) on my recent trip to Germany, I was a little skeptical; I’ve tried it on other airlines and found it more or less similar to economy class. I was genuinely surprised that on Lufthansa, it had more leg space than I needed to fully stretch my feet. I could recline my seat comfortably without infringing on the passenger behind me, and choose from a wider movie selection spanning Bollywood to Iraqi movies that kept me glued to the bigger-than-usual screen. After more than a month away from India, I satisfied my food cravings with a homely meal of rajma and mixed vegetables, served with real cutlery, and could choose from a range of appetizers and desserts. Thanks to the fast Wifi and personal charging points, I caught up on work and had much fun tweeting from 30,000 feet! In short, it won me over in the value for money – travel time – comfort mix, with a direct 7-hour flight from Delhi to Frankfurt. Even on economy class, the A380 is spacious with a 2-4-2 seating and I hear you can find cheaper prices on Lufthansa’s website than Goibibo / Makemytrip. Give it a try yourself. Do you need to know German to travel there? Lost in the forests of Spreewald. Other than the touristy bits, most people I met in Germany spoke little English – so like elsewhere in Europe, it’s good to know some basic German greetings and phrases. Danke schön (thank you) and tschüs (goodbye) go a long way. In Berlin, I managed to get my clothes stuck in a laundry machine at a neighbourhood laundromat and couldn’t follow the all-German instructions, nor had a local sim to use Google translate. An elderly gentleman with a stern demeanor observed my plight, and for a second, I thought he was going to scold me! Instead, he laughed with me, helped me get the clothes out, and explained to me (twice!) how it works. I’ve realized that Germans are some of the most good-humoured people in Western Europe – and even though language is a challenge, it’s not a barrier. Is Germany good for solo travellers? Wine and wifi above the Hamburg harbor. ABSOLUTELY! On my most recent trip, I had plans to hit Italy and Slovenia right after the travel conference in Hamburg, but I had to submit my passport at the South African embassy in Berlin and couldn’t travel out of the country without it. 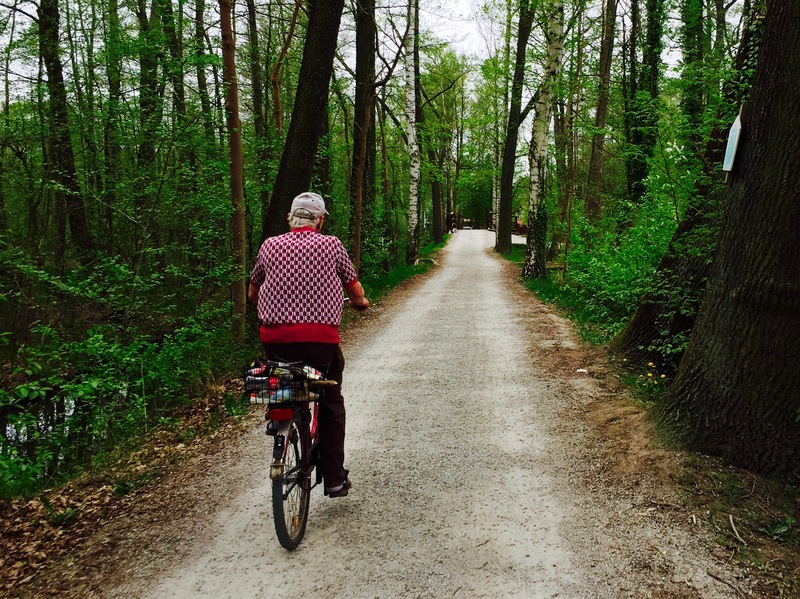 It turned out to be a blissful week; I cycled through the forests and meadows of Spreewald, struck up conversations with local farmers, and stayed with Airbnb hosts who whisked me to their favorite spots on the countryside! Germany is safe, efficient, friendly and has something for every kind of solo traveller – so don’t hesitate to go alone, but do your research and trust your gut as always. How much should you budget for your Germany trip? 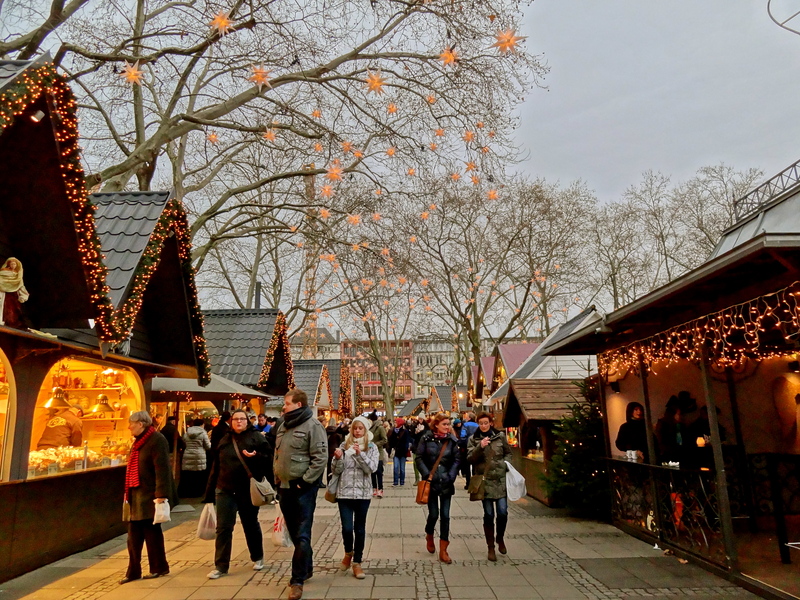 Reveling in the German Christmas Markets. With the Euro almost equivalent to the US dollar, traveling in Germany is cheaper these days! On average, I budget 50 Euros a night for experiential, value for money accommodation; that can score me a nice B&B (with a shared bathroom) in a big city like Berlin, and a sweet studio with my own kitchen and living area in a smaller town or village; 20-25 Euros for two meals with beer at a neighborhood café; 25-30 Euros on average on activities and transport, which works out to roughly 100 Euros a night. How to find unique accommodations in Germany? 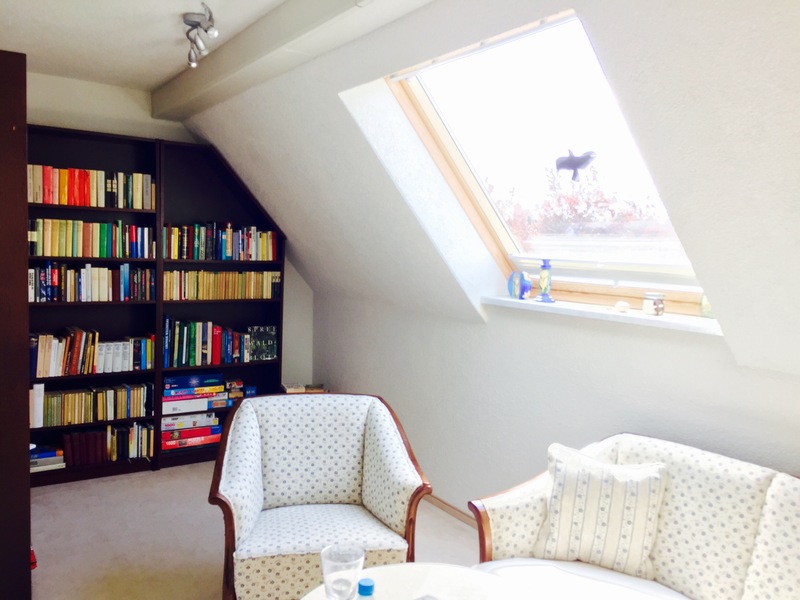 My attic living room in Lubbenau. I try to mix up my accommodation experiences to get a bit of everything – unique neighborhoods, local hosts and value-for-money indulgence. Booking.com and Airbnb (use my referral link to get 25$ off your first booking) are my go-to sources to identify and book accommodations, and Germany has been no exception. On my most recent trip, I used the former to score a charming attic apartment in Lubbenau, with a living area stacked with books, a cosy bedroom, a kitchenette and a grand bathroom, surrounded by a Japanese-style garden, hosted by a jovial old couple, in a pretty neighborhood with quaint homes and cherry blossoms – for 60 Euros a night! I never wanted to leave. I pour in a fair bit of research identifying these places and reading reviews on multiple sites. It’s the only way to ensure that besides a nice accommodation, I’ll also be able to explore the local way of life in a way Google can’t tell me. How to find vegetarian food and good beer in Germany? Veggie flammkuchen in an old German cafe. Through trial and error, I’ve discovered that saying ich bin vegetarier (I am vegetarian) isn’t as effective as asking for food ohne fisch und fleisch (without fish and meat). 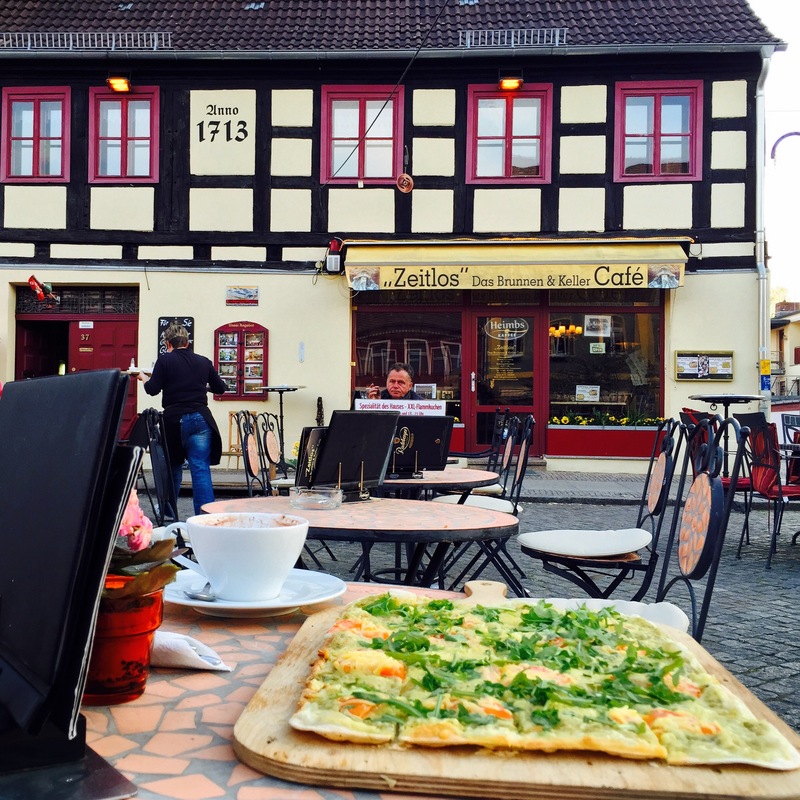 Though German cuisine is largely meat based, try the vegetarian flammkuchen (a kind of flat German pizza) and spatzle (German pasta with cheese) for a local flavor. Most small bakeries and neighborhood cafes have atleast a couple of delightful vegetarian options. I was off eggs on my most recent trip, and had my most memorable meals at vegan cafes, found on happycow. Good beer? That’s everywhere in Germany! If you don’t like beer or want something lighter, try Radler (a combination of draught beer and lemonade / sprite) or Spezi (a homemade, non-alcoholic coke-based drink). 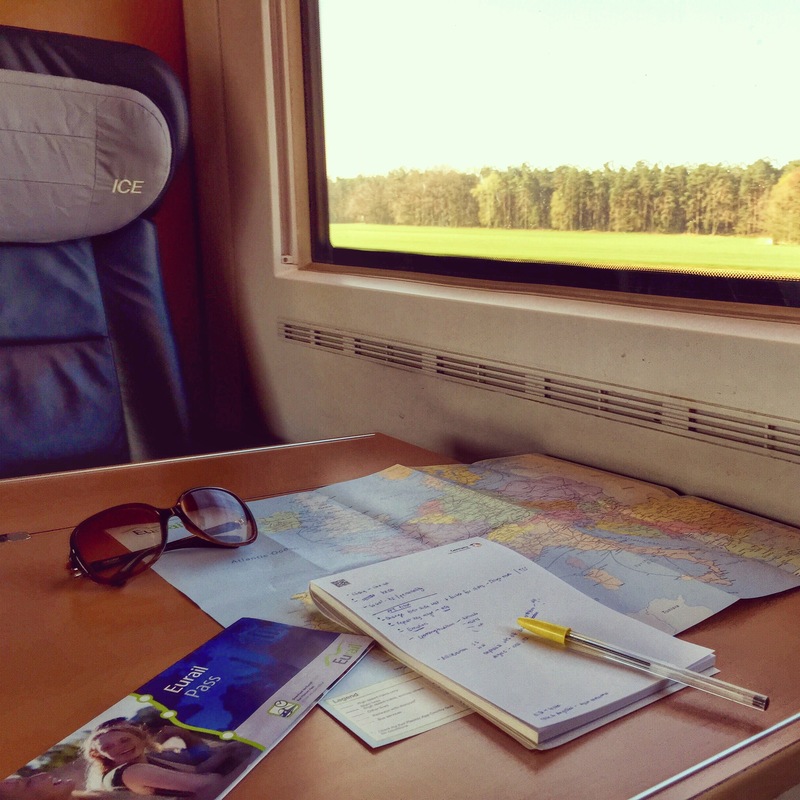 Should you get a Eurail pass for Germany? Planning my Germany trail on the Eurail! I’m no track basher, but I LOVE taking the train in Europe. It’s a great way to slow down a little, soak in the sleepy countryside life, meet locals and fellow travellers, and find some creative inspiration. It’s possible to find cheap flights on long routes, but having a Eurail pass can give you the flexibility to hop on and off trains impulsively and make the journey your destination. If you’re bound by time and budget, assess how long you’re staying and how often you plan to travel, and compare that with individual train fares / flights to decide if a Eurail pass makes sense; remember you need to buy one before you enter Europe. Where to go in Germany? 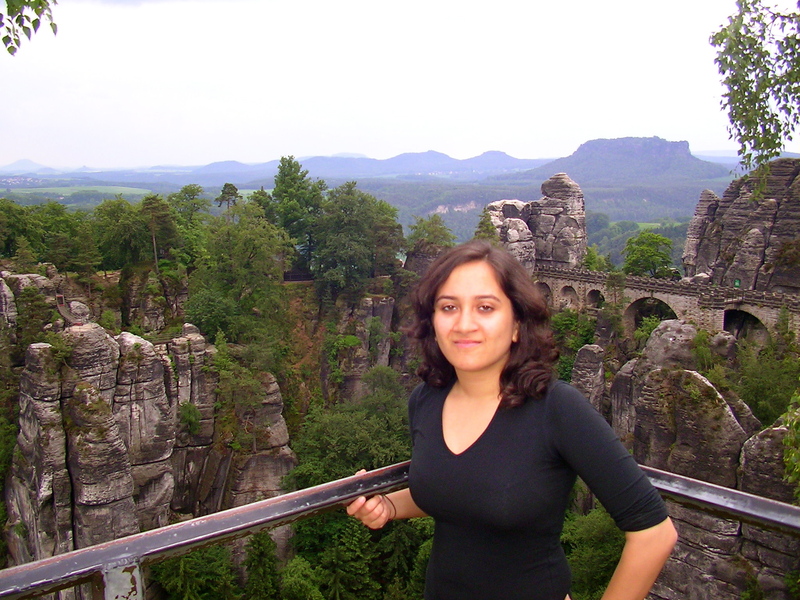 On my first trip to Germany, in Saxon Switzerland. It really depends on your interests. 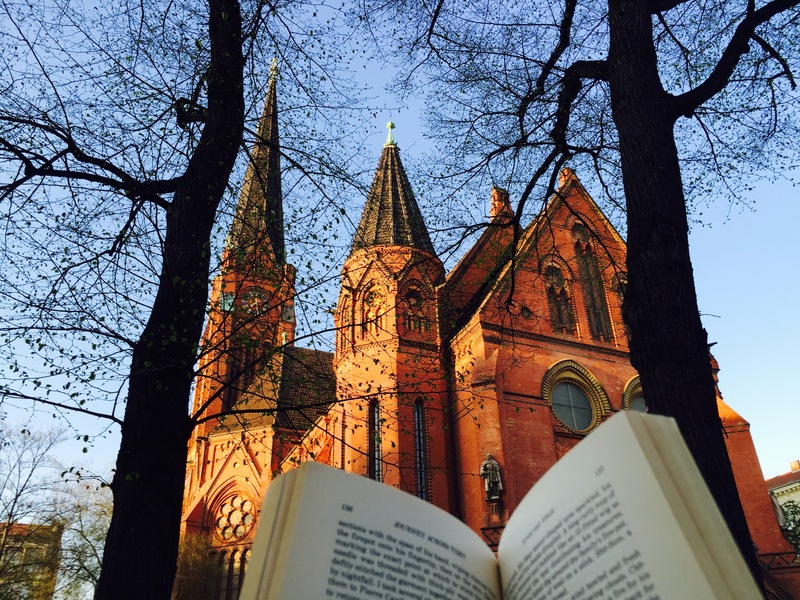 Love history – go to Berlin. Love beer – go to Munich for old biergartens and Cologne for its Kolsch beer. Love small historical villages – go to Rothenburg ob Tauber. 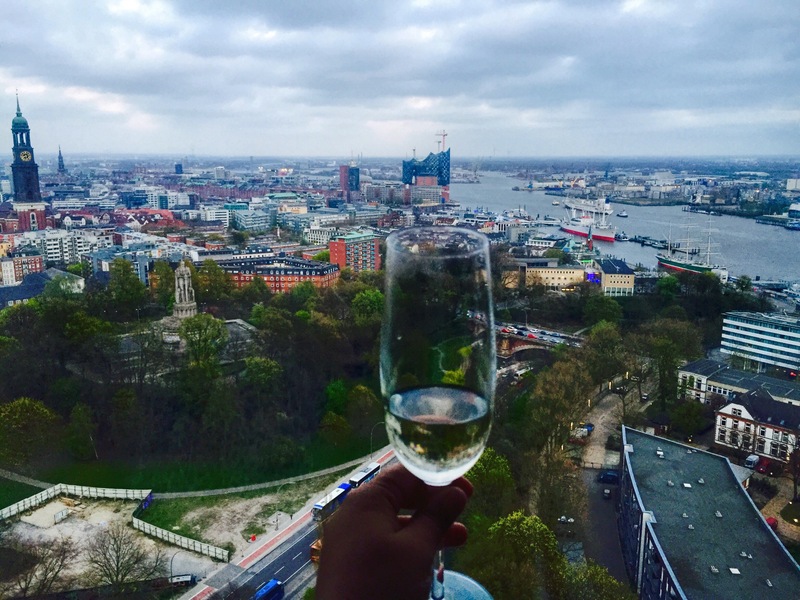 Love wine – go to the Rhine valley. Love alternative cities – go to Dresden. Love mountains – go to Saxon Switzerland. If you love the countryside, Germany still has secrets waiting to be unearthed, like Spreewald, 1.5 hours by train from Berlin, where many villages are accessible only by water and forests! I’ll write about this incredible region soon. Got tips or unanswered questions about Germany? My trips to Germany were partly self-funded and partly hosted. A big thank you to the German National Tourist Board, Lufthansa and Eurail for making parts of these trips possible. Travel with me virtually on Facebook, Twitter and Instagram. Subscribe to my new monthly newsletter to receive travel inspiration in your inbox! Hello! I'm Shivya. 7+ years ago, I quit my full-time corporate job and started travelling the world. I gave up my home, sold most of my possessions and embraced the life of a digital nomad. I'm passionate about sustainable tourism, offbeat destinations, solo travel and veganism. If you enjoyed reading this blog post, leave me a comment and let me know. You can also buy a copy of my bestselling book, The Shooting Star. Thanks for joining my adventures virtually! Connect with me on Instagram/Twitter @shivya. I have been following you write for quite some time and used your travel tips in a recent trip to Europe. – You can use Google translate offline by downloading the language packs. – Hepenheim is another beautiful town to explore in Germany. Glad my travel tips were useful! And thanks for sharing your tips. Didn’t know I could use Google Translate offline; will start downloading the language packs now. Really useful tips Shivya! I’ve only been to France and Italy in Europe and never thought about visiting Germany until now. Hey Shivya – I love each of your posts and have enjoyed following your travels the past few years! I’m going to be in Munich this month for about 10 days. Would love to know of any recommendations that you may have. I loved the pics. Knowing some commonly used words of the local language definitely helps. Thanks Somali. True, irrespective of the country, that helps! nice post about Germany. But the mountains near Dresden are called Saxon Switzerland. Lower Saxony is another part of Germany around Hanover and up to Bremen/Hamburg. Hi Sanjay, I guess you wouldn’t know until you try it. My Indian debit card works on Airbnb (even though it needs a password / OTP on other websites). 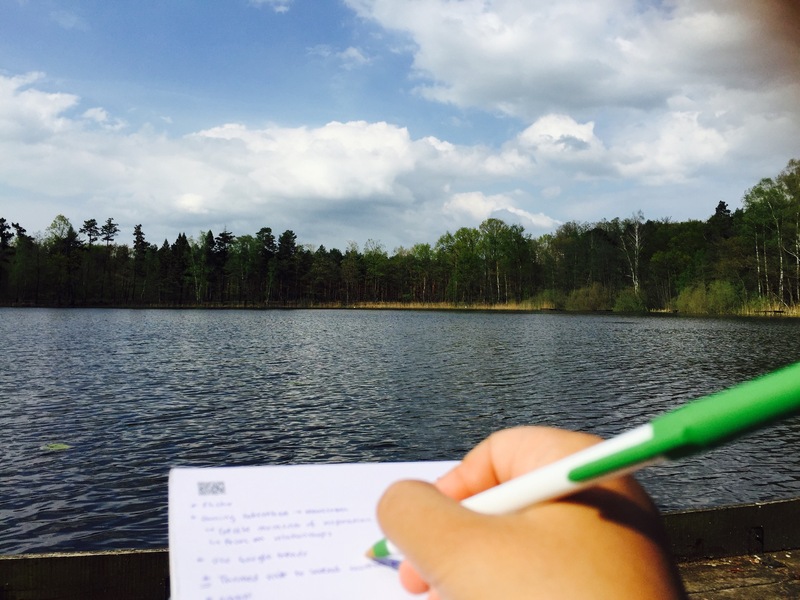 I am fall in love with your writing style…your this blog makes me more excited to plan a trip for Germany. My best experience in Germany so far was visiting a concentration camp memorial in the outskirts of Munich http://ajithprasadb.blogspot.com/2014/04/travelogue-dachau.html . Try visiting one when you go next time. I’m covering Berlin & Hamburg in couple of weeks . Hello, your write up on Germany was very informative. Last month I had a 6 hour layover at Munich airport so decided to explore a bit of the town. To my surprise, the airport enquiry told me the train was on strike but suggested the bus shuttle. As you say the Germans are friendly and speak English. Had a nice round of the Rathaus, Marien platz, the Virtualienmarkt and could make it back in time for my flight. A tip I’d like to give prospective travellers to Europe is that in most places, the main tourist attractions are centred around the town centre. If one digs deeper in history, it goes back to Roman times, the city centre would have been the Roman forum and temple. Very nice and informative article Shivya. 50 Euros a day seems a bit steep..seems i am yet unprepared for my Euro trip this year 🙂 Thanks a bunch! Shivya, it was really nice to read about my favourite country here. Loved your write-up. Some of the extraordinarily beautiful areas in Germany, other than the ones you mentioned here, are the islands in the north, e.g. the chalk cliffs of Ruegen, the Bodensee/ Lake Constance in the south with the picture perfect islands of Reichenau and Mainau, the entire Bavarian Alps – and even though Neuschwannstein is extremely touristic and somewhat cliched, one cannot but fall in love with the castle and its breathtaking surroundings! The Black Forest area from Freiburg am Breisgau and beyond – right through to Karlsruhe and Heidelberg looks like a picture postcard. I could go on and on :). One of my most memorable experiences was devouring a rich creamy Black Forest pastry sitting in a quaint restaurant atop a hill in Schauinsland – the heart of Black Forest. Looking forward to a happy exchange of ideas! It’s really nice to read about Germany trip which is very informative for the traveler in Germany. I really appreciate with you. I know it is more expensive to visit Germany then Highest peak in the world Mt Everest Nepal but i would love to visit Germany in future. Liked your blog and travel ideas. I am also travelling next month to Germany. Will be visiting my friend in Hannover. And then to travel to other parts of that country. Hi Shivya! I’m a German living in Berlin and was happy to read of your experiences throughout Germany. So many people outside of Germany have a certain…er…view of Germany/Germans as being boring or uptight. 🙂 I’m happy to see you did not find it that way at all. Hope you come back often to Germany! Can’t wait for my first Europe trip! Very useful tips . Great pictures and blog! Great tips and photos! Germany is definitely a great place for budget travelers, especially if you’re willing to head out of the big cities. Places like Mecklenberg Vorpommern are packed with affordable accommodation – and close to some great beaches on the Baltic coast! Germany really is a great country. Great post for travel lovers & all these tips are fantastic. Location plays a huge part in deciding your budget. South East Asia is probably the most affordable destination on the planet, and South and Central America are more reasonable than Europe. Previous Post21 Months on, My Nomadic Life Feels Normal. Next PostBittersweet Feelings in South Africa’s Mamelodi Township. My book – a national bestseller in India! Hello! I'm Shivya Nath. In 2011, at age 23, I quit my corporate job with a dream of traveling the globe. 2 years later, I packed up my life into a backpack and decided to hit the road indefinitely. I travel slow, seek offbeat and local experiences, stay in a place for a few weeks or as long as it inspires me, and move on. I've done a solo land journey from Thailand to India via Myanmar and travelled overland from the Persian Gulf via Iran to Armenia. I've lived with a Mayan community in Guatemala, volunteered at a coral reef restoration project in Cuba, lived in a nunnery in Ladakh (India), and shed my fears and clothes at onsens across Japan. I hope to inspire you to step out of your comfort zone and experience the world! What's a life of travel like? To invite me on a travel blogging trip, please see my Work with me page. Get my book – a national bestseller in India! © All text, images and ideas on this blog are copyrighted by Shivya Nath and cannot be used without explicit permission.